As part of our mission to #ExploreMore, we gathered a group of outdoor folk – hikers, landscape photographers and journalists – to take the Land Rover Explore phone on a field trip. Our goal was to put the phone through its paces in its natural habitat. Where better than the beautiful but unforgiving landscape of the Brecon Beacons in Wales. We were excited to be led by the Beacons National Park Rangers for two days of hiking from the West to the East of the Beacons. Experts in their region, the National Park rangers helped to guide our group around the parks, which proved to be invaluable on day one. We kicked off day one with a fast ascent up onto the Carmarthen Fans Loop ridge, the weather was very bad at the start. We didn’t think that it would get a lot worse. As we climbed, visibility dropped continuously until we were down to about 15m. But, as miserable as it was, it was the perfect condition to showcase the Land Rover Explore phone and its mapping capabilities, superior GPS, durability and especially its weather proofing. In these conditions, the enhanced mapping and GPS capability proved to be critical. 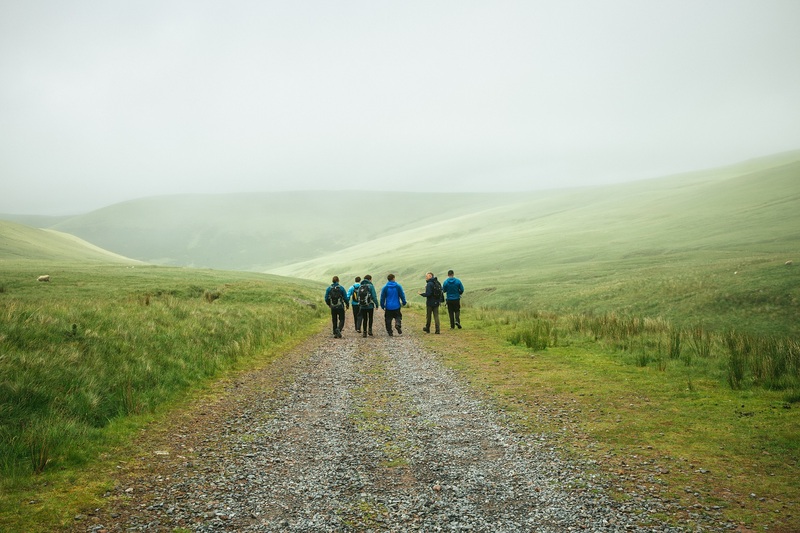 We pre-loaded the OS 1:25 Brecon Beacons Maps into ViewRanger, and it led us safely across the hill – knowing there was a considerable drop on our right at all times. Naturally, the weatherproofing meant we were able to have the phones in hand to keep us on track throughout. Unfortunately, our camera team were less fortunate; their kit had to remain in the dry bags! 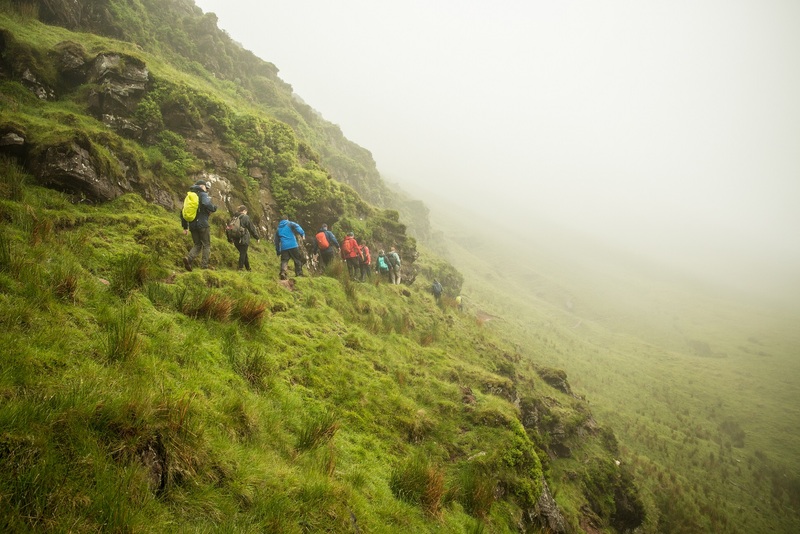 When we started to descend, the rain and visibility ironically started to ease up and the team were overjoyed to reach the bothy by the lake where we ended our walk. 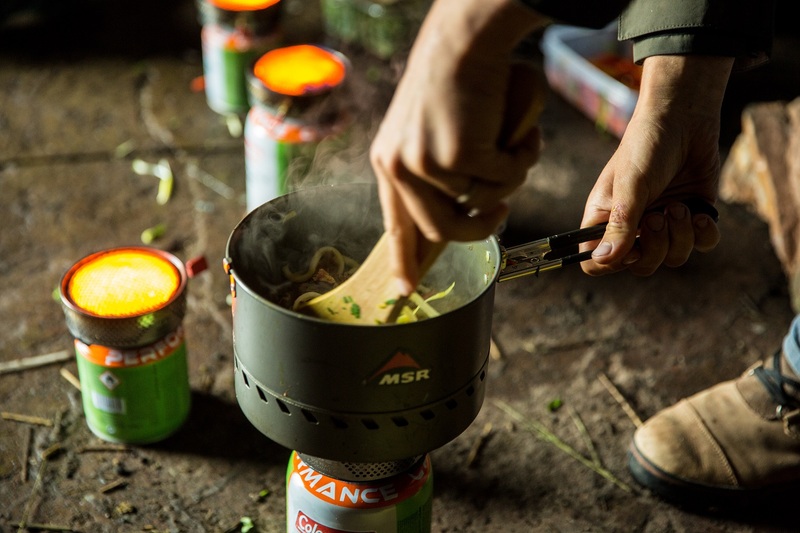 Greeted by outdoor chef, Dina Spencer, we were treated to tasty Udon noodles cooked on a gas stove. Hot food always tastes better after a long, wet hike and so these noodles will live in the memory for a long time. As we closed to the end of the first day, what better way to finish up than with a local pub brew and a regionally influenced gastro menu. The next day we all awoke to very different weather conditions, the sky was clear and the horizon was in sight. For the second day, we welcomed a group of landscape photographers, who as part of their daily lives, spend hours trekking mountainous landscapes to create some of the best regional content. Who better to test out the phone’s GPS, battery life, mapping features, durability and weatherproofing than these folk! Led by the National Park rangers, we trekked up onto Offa’s Dyke, which runs almost the entire length of the Welsh-English border. On the summit we were greeted by majestic views, wild ponies and military aircraft which the photographers captured brilliantly on the phone and their SLRs. We stopped briefly for lunch, kindly provided by the Outdoors Food Company and continued our descent until we reached our final stop at the cafe within the Llanthony Priory. Over the two days, exploring the unrelenting landscape and conditions of the Brecon Beacons demonstrated the phone’s key features and why the Land Rover Explore phone is truly unique in its field. We’d like to thank everyone that joined us on the field trip, especially the Brecon Beacons UK National Parks Rangers for their invaluable local knowledge, unrelenting positivity and humour! 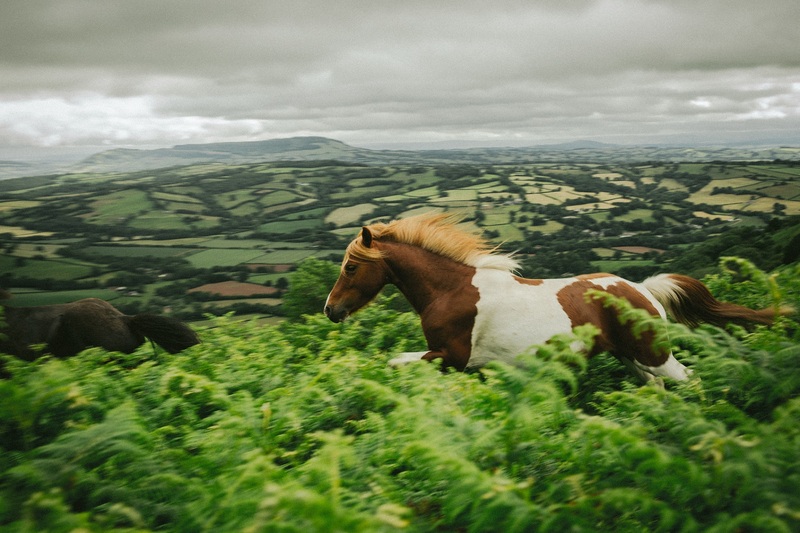 Working closely with the National Parks team, the filming project has supported the conservation and sustainability of Brecon Beacons National Park Authority. All proceeds have been positively used on the natural environment helping to protect it for future generations.